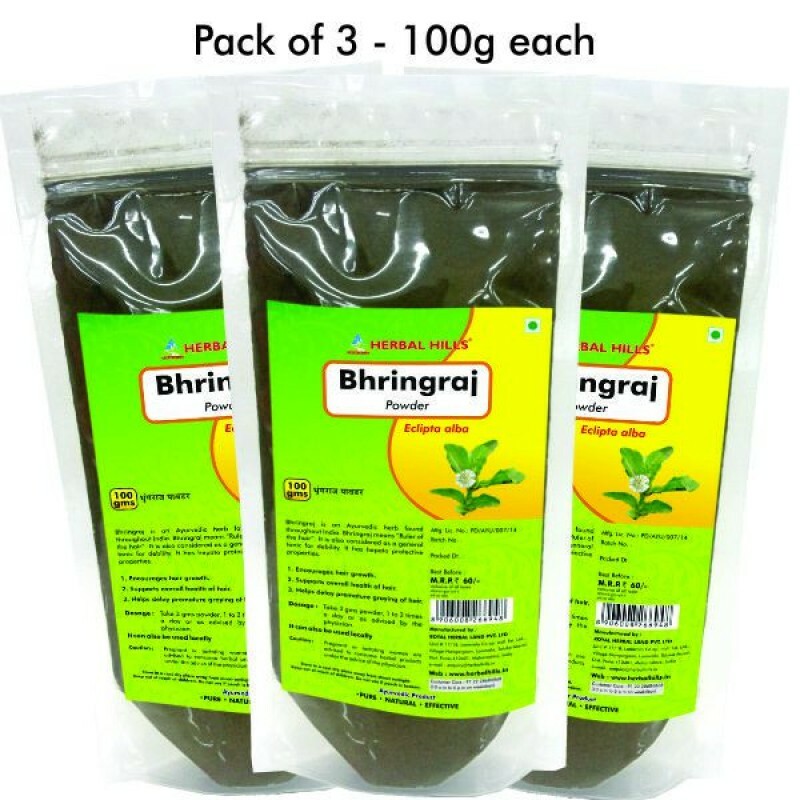 Bhringraj - 100 g PouchBhringraj is an Ayurvedic herb found throughout India. Bhringraj means “Ruler of the hair”. It is also considered as a general tonic for debility. It has hepato protective properties.Benefits : - Helps delay premature graying of hair - Supports overall health of hair. - Encourages hair growth.